‘Pretty Babies Grow Up Ugly’ now in paperback! 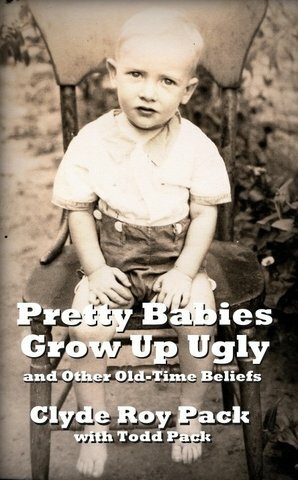 Pretty Babies Grow Up Ugly and Other Old-Time Beliefs, the latest book by Clyde Roy Pack, is out in paperback as well as a version for Amazon Kindle e-book readers and apps from Story/ATOM Publishing. The paperback is $10 (plus shipping and handling). The purchase price is $2.99, or it’s free to borrow Amazon Prime members. “Before good health care and decent schools reached the hollows of Eastern Kentucky, families struggled to make sense of the world around them. When a baby was born or a mother fell ill, families could do little but hope and pray and look for signs. They relied on old superstitions and a deep Christian faith to help them make sense of a world they didn’t understand and couldn’t control. Clyde Roy Pack’s other books include Muddy Branch: Memories of an Eastern Kentucky Coal Camp (published by the Jesse Stuart Foundation), Coal-Camp Chronicles, Going Back and Dear Hearts & Gentle People: Rural Americans at Their Best (published by Where? Press). Click here to buy Pretty Babies Grow Up Ugly and Other Old-Time Beliefs.